It’s has been awhile since I blogged here and I want to catch you up. In December I decided to have my thyroid removed. Most of you know that holistic medicine is important to me and I talk about this in my book 12 Weeks to Self-Healing: Transforming Pain through Energy Medicine. After finding I had a lump in my throat attached to my thyroid, rather than taking the doctor’s suggestion to have surgery I chose having ultrasounds every six months while I worked on self-healing. At first the growth stayed the same, but then another lump began to grow on the other side. 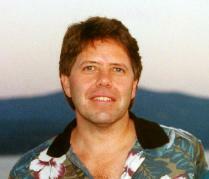 The physical risk was that it would grow and wrap around my esophagus. I decided to have my thyroid removed. There was an emotional attachment to keeping all my organs, but this turned out to be a great decision. My energy is much better and I can shift my weight now by diet and exercise, whereas before it was difficult to affect a change. It took some time to recover and much has happened since then which I’ll share in future blogs. Today I want to share with you a video I listened to this morning as I walked Domingo along the Spokane river. This is Esther Hicks channeling Abraham. The topic is Weight Loss and Vibrational Pre-Paving which is “Thinking about a positive outcome from the action you’re about to take part in.” Enjoy! angles or planets between 10-20 degrees in the Fixed Signs of Aquarius, Taurus, Leo, and Scorpio. February 11th: Mercury stations direct in Aquarius. The messenger planet completes its first of three rounds of Mercury retrograde cycles in 2015 as it steps forward in Aquarius at 1 deg 18 min today. 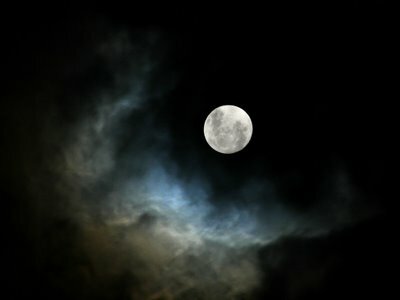 February 18th: Super New Moon in Aquarius at 3:47 pm PST & the Sun enters Pisces at 3:50 pm PST. The second of two rare consecutive Aquarius New Moons arrives in the very final degree and minute of longitude in the sign of Aquarius ushering in the Chinese New Year of the Goat. The Sun enters the sign of Pisces within 3 minutes of the arrival of the New Moon in Aquarius. The Sun and Moon then merge in the first degree of Pisces in synchrony with a close conjunction of Venus and Mars in the last three degrees of Pisces. February 19th: Mars enters Aries. The warrior planet celebrates a homecoming as he returns to his native sign of Aries where He eagerly awaits the arrival of his Lady Venus joining him in Aries tomorrow. February 20th: Venus enters Aries. Lady Venus catches up with her Martian Mate in the sign of Aries for a restorative fortnight’s rendezvous before She moves on towards the sign of Taurus seeking signs of spring. 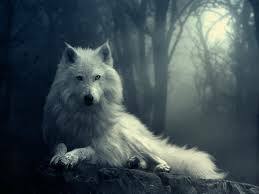 Looking for an intuitive reading, contact me! If you are local to Spokane, check out my meetup.com group Spirituality & Self-Healing for my birthday party annoucement! Wow, previously I posted about pairing my working (which is easy for me to do each day) with exercise, which is much more difficult because I am often working. 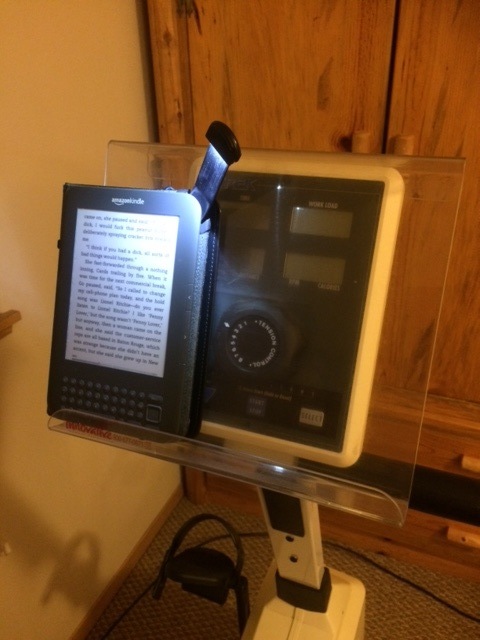 In the earlier post, I showed the photo of my Kindle on the plastic shelf on my recumbent bike. It was easy for me to ride for 10 miles that day! 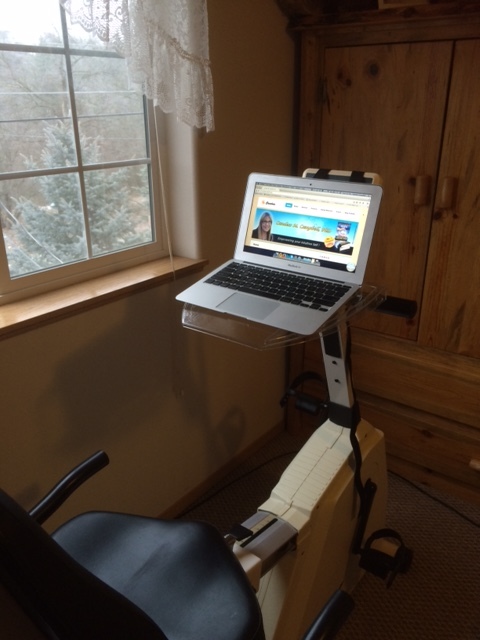 And then I thought – what about watching webinars or writing blogs, or updating my websites while I was riding my bike! Look what I found! I now have a plastic tray that holds my Mac Air laptop. I decided to give it to myself for my birthday which is in February. I am not much of a shopper, but I do splurge around my birthday! Okay! This is great! Let’s see how I do! Share with me ways you get yourself to show up for your exercise routine. It’s a very difficult era in which to be a person, just a real, actual person, instead of a collection of personality traits selected from an endless Automat of characters. This is a great time of year to join in with others and to change how I eat and exercise more. Not this year. I shared in an earlier post about my thyroid surgery. The recovery from the surgery went well, but somewhere between receiving anesthesia and waking up, my rib was dislocated. Now, dislocated is a strong word. Maybe I should say my rib was out. However I say it, the fact was I was in a lot of pain. I felt it in my neck, down my shoulder and down my arm. I didn’t know what the problem was until when my daughter was rubbing my shoulders trying to help and my rib popped back in. Oh, that felt good. It still took three days of seeing my chiropractor, Dr. Pat Dougherty, and then on the fourth day a massage therapist to get the pain to stop. Needless to say I couldn’t meet with trainer, Luke Brady and for the time being I cancelled my sessions. Three weeks later, my rib was healed enough I could exercise. That is the issue with changing a habit. Something always happens! We just need to get back on track. Every day I notice how I have more energy and I have to change my slow and tired habits to new habits that fit with my new energy. First it was healing my body – having the surgery and removing the inflamed thyroid and the lumps, and now it is changing my mind! Granted it is easier for me to wake up and start working (usually on the computer) than it is to wake up and work out. Today I am just checking in with you and now off to ride my recumbent bike. What I do that is helpful is I pair what I enjoy doing with something I want to enjoy doing. For instance, when I ride this morning I am going to have my kindle with me. I am re-reading Gone Girl before I watch the movie. I really enjoy the book so before I know it 30 minutes will fly by. Think about what you can pair with eating healthy or exercise to support your progress!